Yellow is my least favorite color. This is partly vanity (it’s not a color that looks good on me) and partly a clash of personalities. It’s just so… chipper. It’s the color version of that annoyingly perky and positive person who you can’t help but give the side-eye, because no one is that happy all of the time. It turns out I’m not alone in my antipathy to yellow, at least in Western culture. In a 2000 survey of America & Europe, only 6% of respondents named it as their favorite color (compared with 45% for blue, 15% for green, 12% for red, and 10% for black). 7% named it their least favorite color. Yet, yellow is a part of my daily life as a designer. It is one of the 4 cornerstones of the CKYK color process, which means almost every project I send to print depends on it. Yellow is also the most visible color when seen from a distance, so it is often used for objects that need to be instantly recognizable. That same property is why it’s the most common color for flowers, as insects are drawn to it and help pollination. It’s also been a long-standing feature in the art world: yellow ochre is a naturally occurring pigment found in clays that has been used in painting since prehistoric times. That’s a pretty even spread of different meanings; really it depends on context and application. Our emoji smiley faces are yellow because of its association with friendliness and amusement. Jaundice (yellowed eyes and skin) is a symptom of illness. The badges that the Nazis forced Jews to wear were unequivocally a bad thing, and yet yellow flowers can’t help but bring cheer. The particular shade and usage can dramatically alter how this color is interpreted. When it comes to using yellow in design, I’ve always found it a bit tricky. Use a lighter shade, and it’s hard to see against white. Use a more vibrant shade, and you garner associations with bees or school buses. But a happy medium can be found. 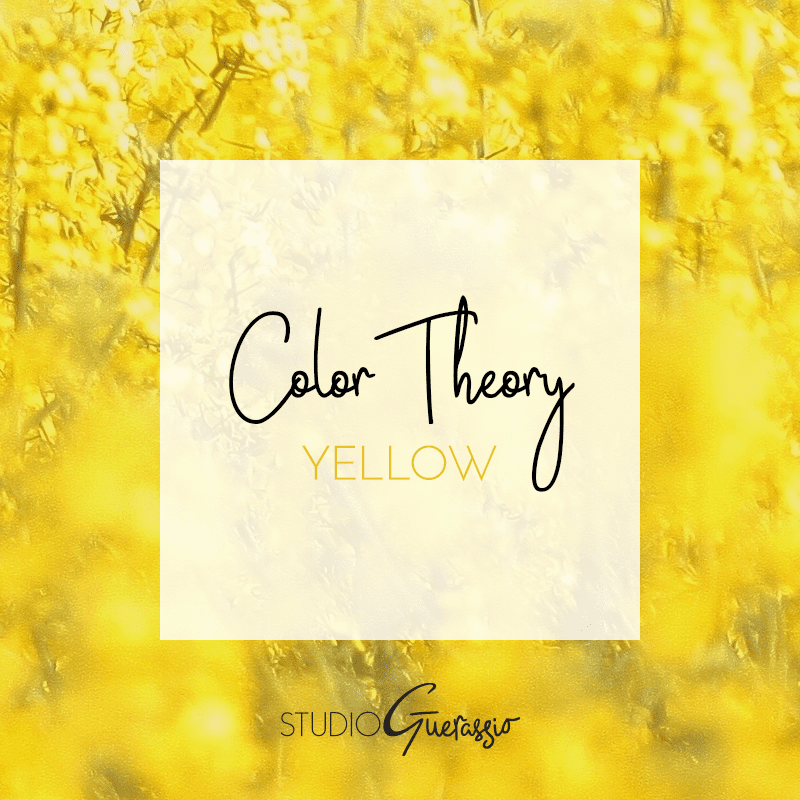 Check out my color board on Pinterest if you want to see different ways in which yellow is utilized. What is your impression of yellow?